Look super stylish with American Indigo Double Sided Sleeveless Jacket, a perfect addition to your winter collection for this season. Made from Polyster fabric on one side and fleece on other side, it is durable and supersoft to wear on wintry days. 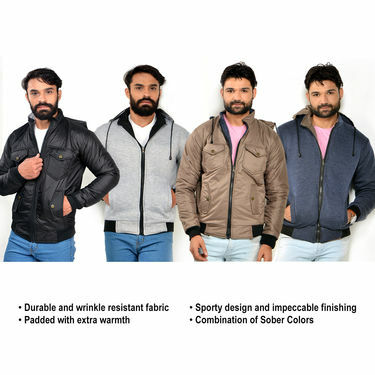 Piping on zipper, pocket zipper closer, cut & sew styling at shoulder gives trendy and stylish look to it. 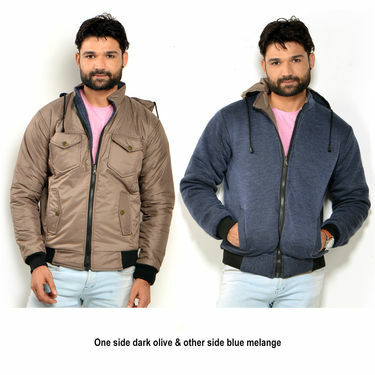 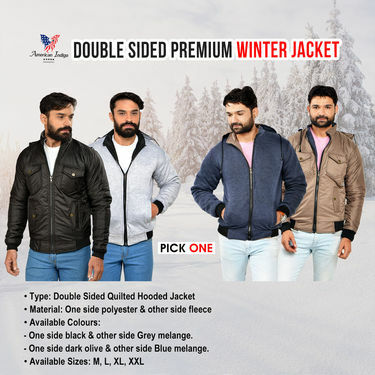 When worn over a simple plain t-shirt, casual jeans and shoes, this jacket ensures an amazing fit to keep you extremely comfortable all day long. 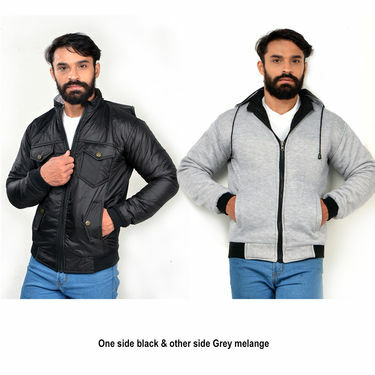 American Indigo Double Sided Prem..VSBuy 1 Get 1 American Indigo Fleec.. American Indigo Double Sided Prem.. VS Buy 1 Get 1 American Indigo Fleec..
American Indigo Double Sided Prem..VSPick Any One Leatherite Jacket fo.. American Indigo Double Sided Prem.. VS Pick Any One Leatherite Jacket fo..
American Indigo Double Sided Prem..VSAmerican Indigo Reversible Jacket.. American Indigo Double Sided Prem.. VS American Indigo Reversible Jacket..